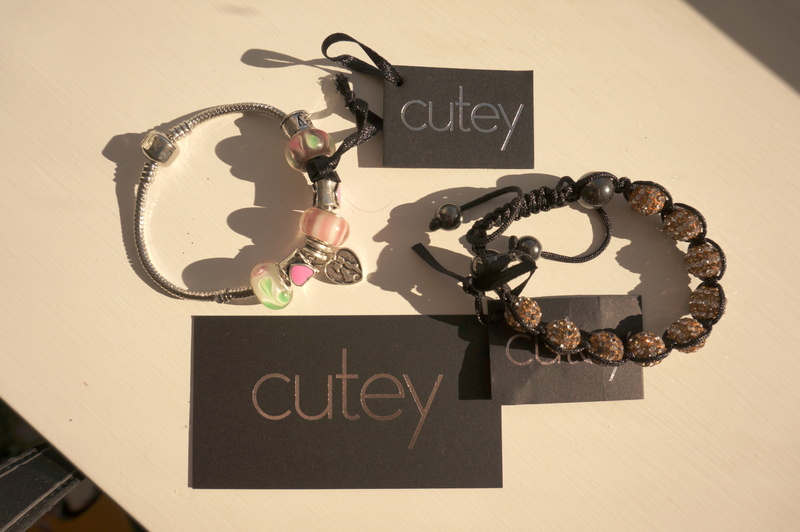 Today I have some gorgeous bracelets from Cutey to review for you! I was delighted when they offered to send me something for review, I knew they sold pretty shamballa and charm bracelets but had not idea what I’d receive. To be honest with you I wasn’t actually sure what a shamballa bracelet was, or meant, until I looked it up. Cutey have a post on their own blog with an explanation here. The great thing about Cutey jewellery is that the charm bracelets are all customisable, you can remove or add charms as you wish, and make your bracelet just how you want it. Cutey will also soon be selling single charms, as well as necklaces and costume jewellery. At the moment they also stock some stunning bags which look fabulous! This bag is definitely on my christmas list! 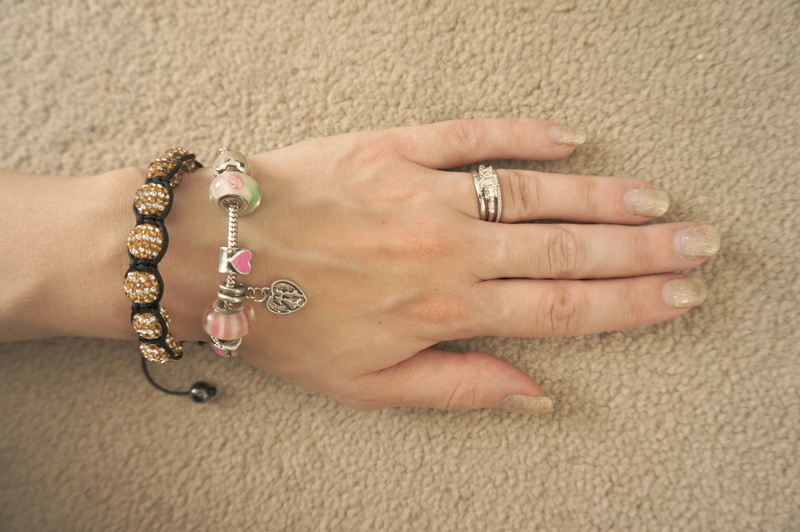 So for the jewellery – the bracelets are fairly heavy, they feel solid and well made. The shamballa bracelet was a little stiff to pull apart to open at first but loosened up after a couple of goes. I’m really pleased with my bracelets, they’re reasonably priced too (£12.99 to 18.99) so would also make great christmas gifts! Previous Post Coco Military Jacket Friday OOTD! Next Post MAC RiRi Talk That Talk Lipstick Review, Swatches & Comparison.